Made available to clients at the best rate possible, the offered Vertical Fine Boring Machine has a high preference in the market. Owing to the raw materials used in its making, the offered product has a long functioning life and is highly resistant to corrosion and damage. The commendable performance provided by this machine is highly praised in the market. Further, we mark this product at a very reasonable price. 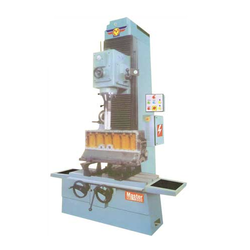 Looking for Vertical Fine Boring Machine ?